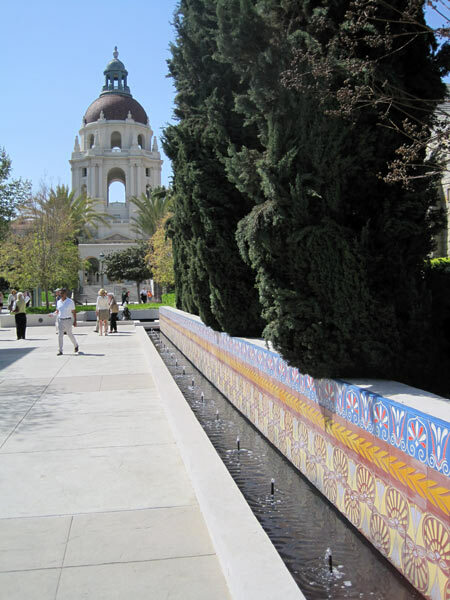 In 1984 the City of Pasadena initiated a program to improve its historic Civic Center and selected a rectangular block bounded by Colorado Boulevard, Walnut Street, and Los Robles and Euclid avenues for a mixed-use development that would offer a variety of commercial spaces. 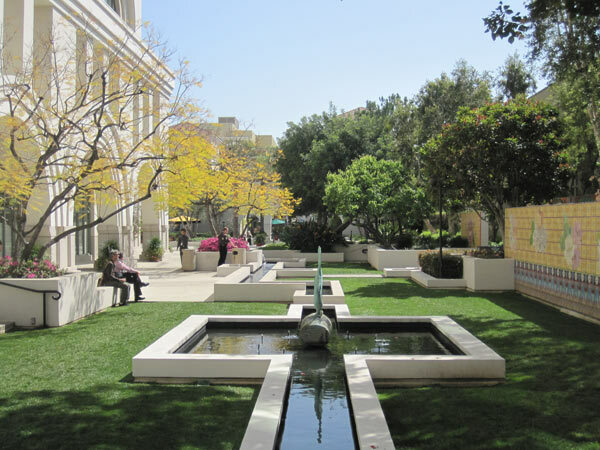 The six-acre parcel, developed by Maguire Thomas Partners, is situated across from the Beaux Arts-style City Hall, designed in 1925-1927 by architects Bakewell & Brown. Opened in 1989, the site includes an eight-story office tower, a twelve-story hotel, and retail spaces designed by Moore Ruble Yudell. 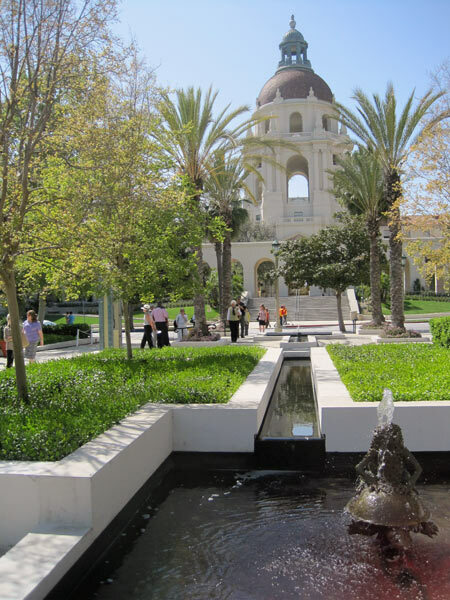 Lawrence Halprin was selected to design an integrated landscape that would reflect the architectural style of the complex and the heritage of nearby old town Pasadena. 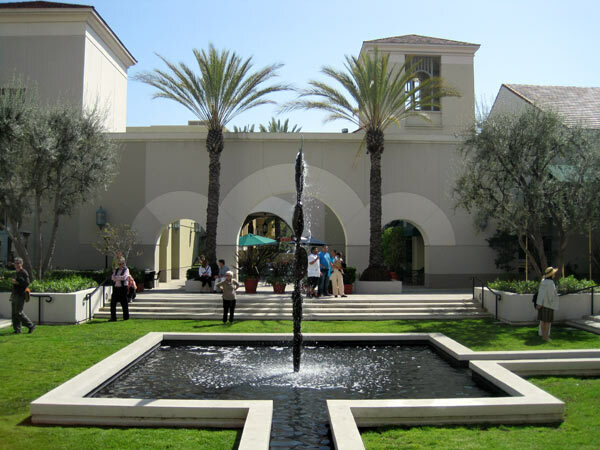 Halprin’s Moorish-influenced landscape includes pedestrian arcades and a series of distinct courtyards and terraced public gardens characterized by decorative paving and tilework, lush plantings, and a variety of pools, water channels and waterfalls which reflect the name of the plaza. 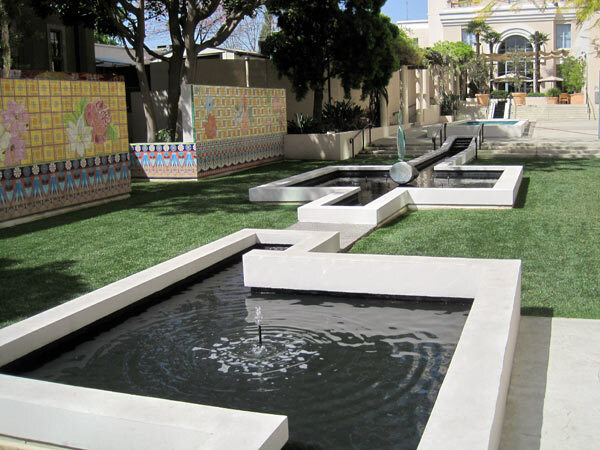 The central element is a large courtyard anchored with several fountains decorated in hand-painted ceramic tiles. 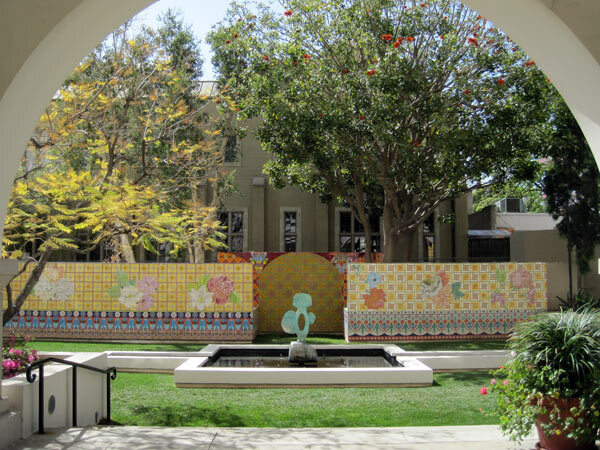 An entire wall of decorative tiles was designed by artist Joyce Kozloff, while sculptures by Michael Lucero and other artists are placed throughout the gardens. 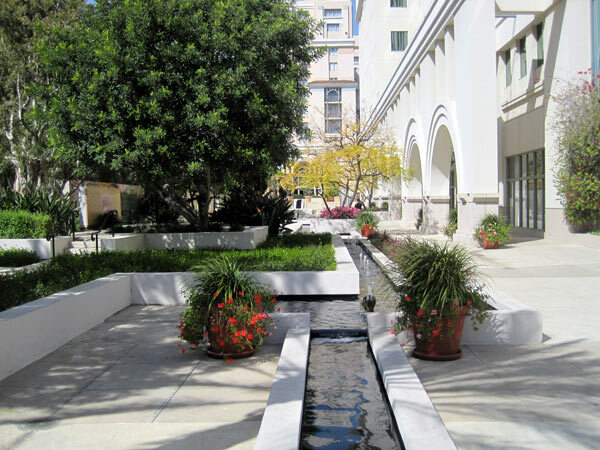 Terrace and roof gardens offer views of the iconic City Hall dome as well as the San Gabriel Mountains. 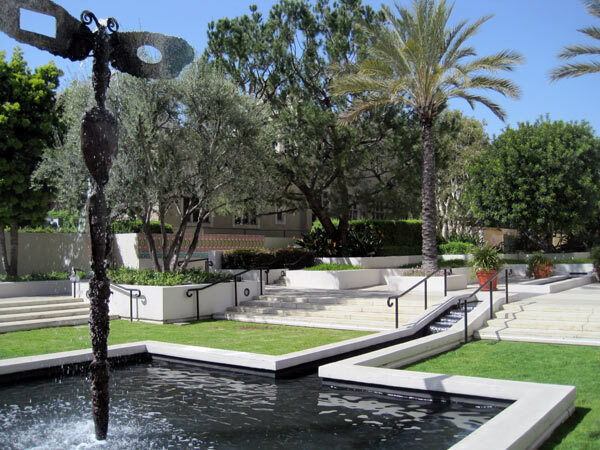 The tile work and fountains echo Halprin’s work in Grand Hope Park and the Maguire Gardens in Los Angeles around the same time, also developed by Robert Maguire.